Yields: Serves 3-4 people. Cook time is total for 3 items. In large roasting pan, add 2 tablespoons of the olive oil. Layer pieces of fish in pan. 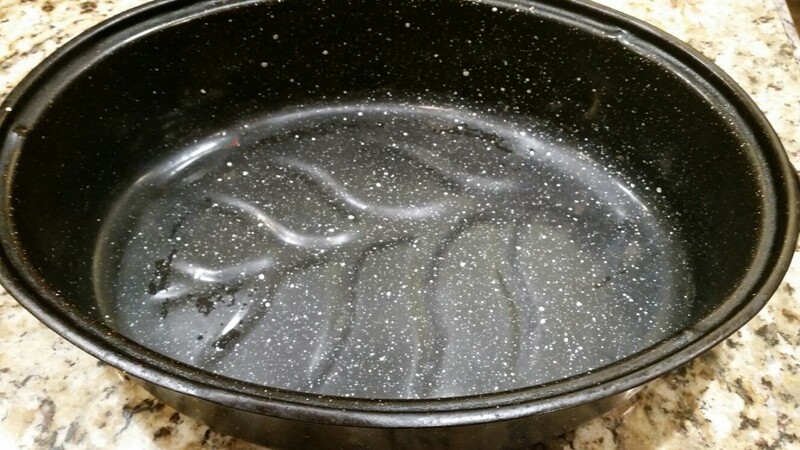 Drizzle the remaining 2 tablespoons of olive oil. 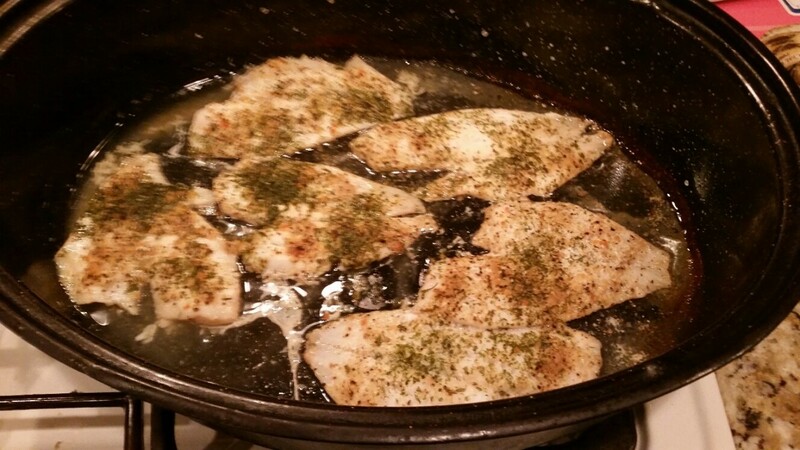 Add salt and sprinkle lemon pepper seasoning on each piece of fish. Cover and cook for 10-12 minutes at 450 degrees. Note: The flounder I used was thinly cut; if your flounder is thick, an additional few minutes of cooking time may be necessary. 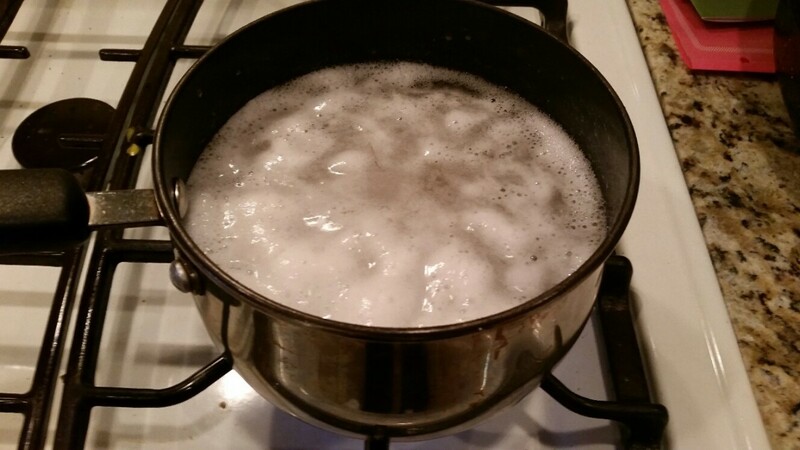 Add diced potatoes in medium pot of water and bring to boil; boil the potatoes for 5 minutes. This softens the potatoes so they will require less cooking time in the over. 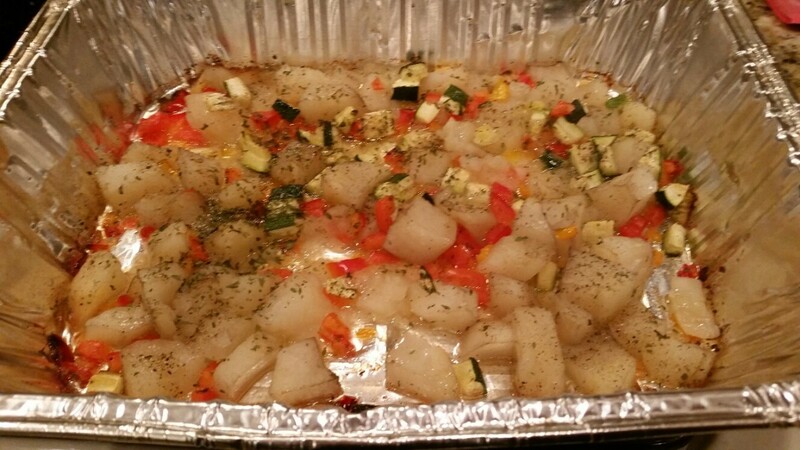 Place potatoes in baking pan; add olive oil and all other ingredients and cook at 450 degrees for 30 minutes or until potatoes are slightly browned. Note: To save time, cook potatoes and flounder in over at the same time, if you oven and pan sizes allow. Otherwise, add 10-12 minutes of cooking time if cooking them separately. In medium to large frying pan, add 1/2 of the olive oil. 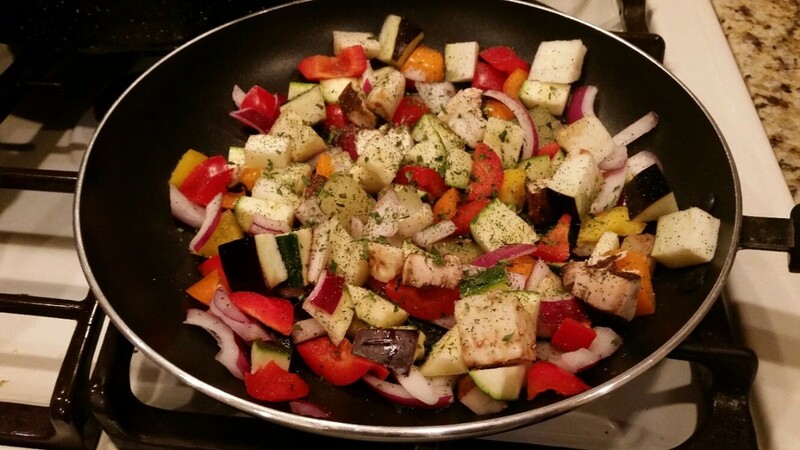 Add mixed vegetables in pan. Add the seasonings and mix. Sauté for 10-12 minutes on medium to low heat. 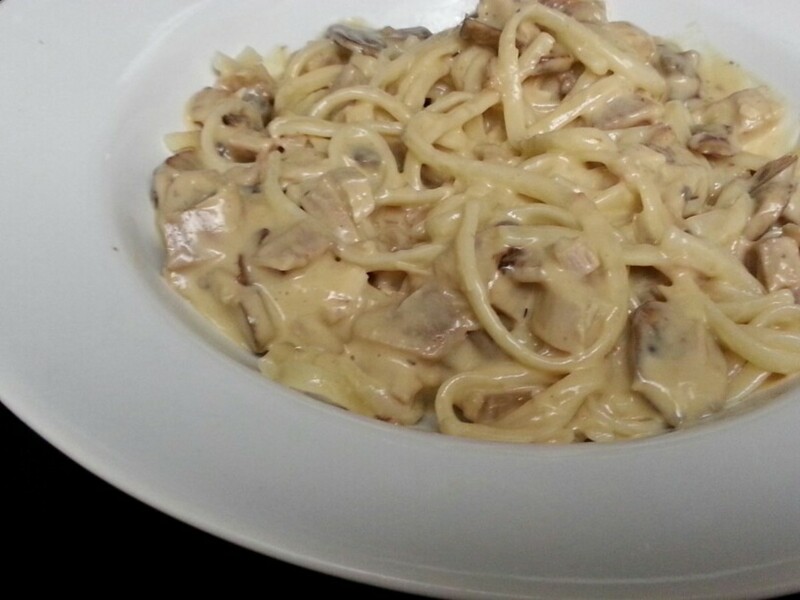 Your dinner items are cooked and ready to serve. Enjoy! Flounder is an excellent source of protein. One flounder filet (approximately 6” X 3 ½” by ½” ), is approximately 150 calories and contains 5 grams of fat, and 30 grams of protein. This may vary slightly depending on the size/ounces of the filet. Potatoes are a good source of carbohydrates, which are a good compliment to protein-rich flounder. 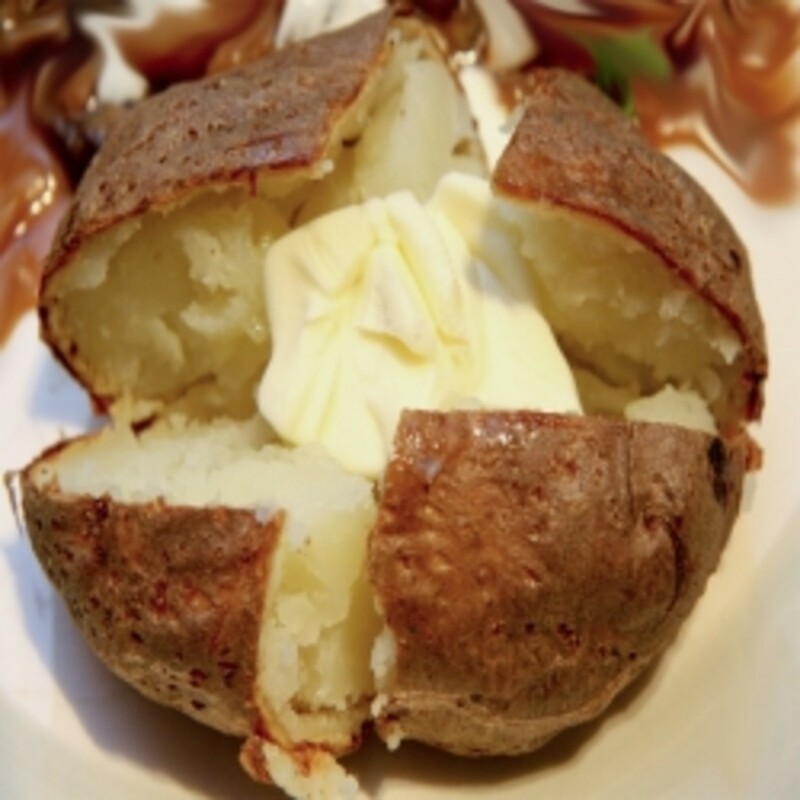 Approximately ½ cup of baked (roasted) potatoes is approximately 150 calories, including finely chopped vegetables. 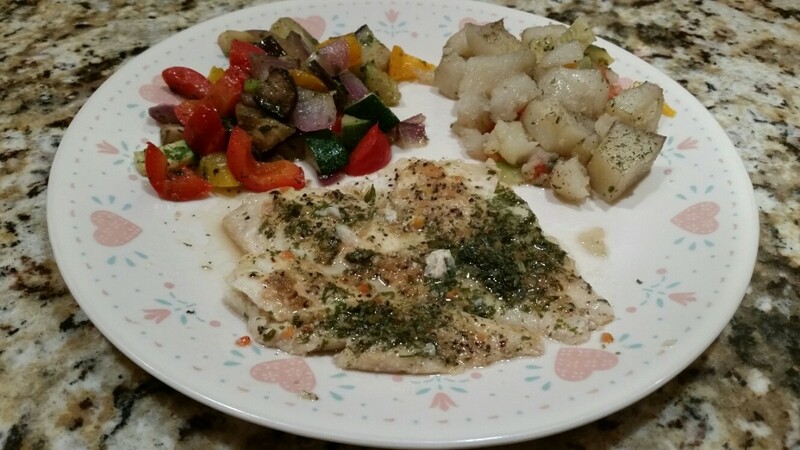 For the olive oil used to season the potatoes, I use Filippo Berio Extra Light Tasting Olive Oil, which is 120 calories per tablespoon (so allow approximately 50-60 extra calories for a portion of olive oil per serving). 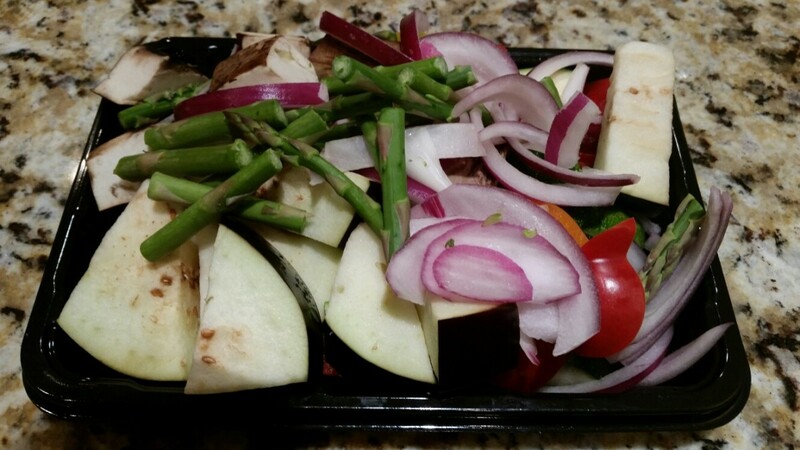 Grilled vegetables are a healthy addition to any meal. One cup of cooked mixed vegetables is only 50 calories, 10 grams of carbohydrates, 2 grams of fiber, 20% of RDA of Vitamin A, 6% of RDA of Vitamin C, and 2% of the RDA of Calcium and Iron. For the olive oil used to season the vegetables, allow approximately 30-40 extra calories per serving). This is Hub #26 of 30 of my 30 Hubs in 30 Days Challenge. Hey firstcookbooklady, that's cool, glad you will try it. It's quick, easy, healthy and delicious! 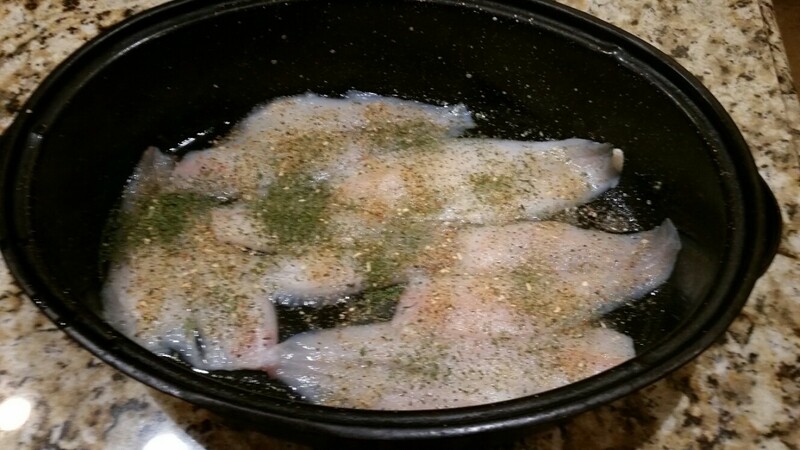 I have some Flounder that I bought a couple weeks ago because my friend thought it was so good that I should try it. I will try your recipe! Thanks Susan, glad you like. 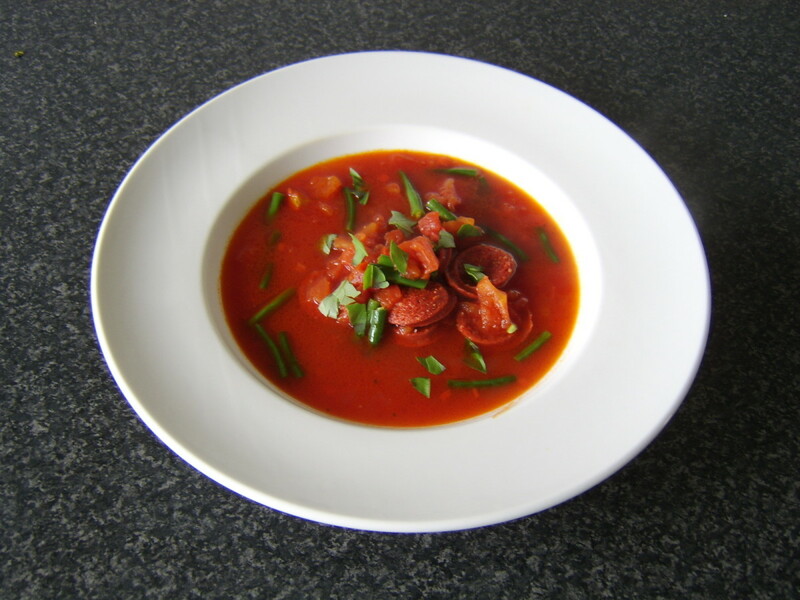 Tonight is fish night so I will be making this recipe for dinner, healthy and delicious! 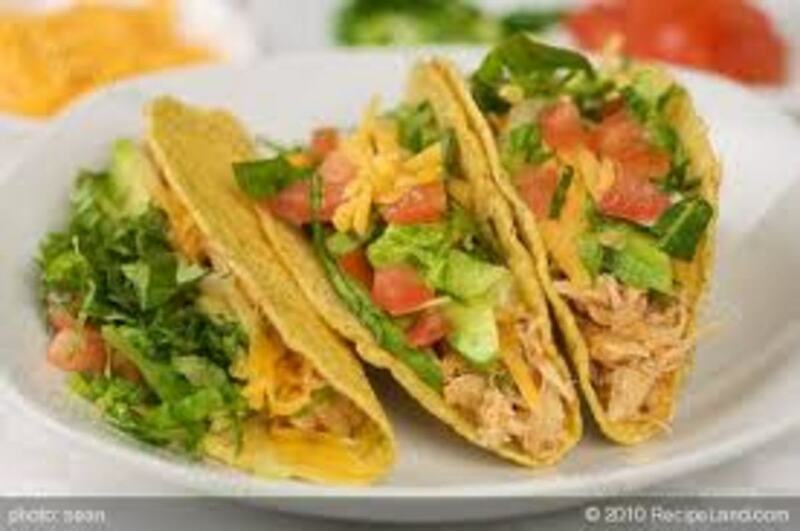 Wow easylearningweb, thanks for sharing this yummy hub. I sure wish I fixed my flounder the same way the other night. 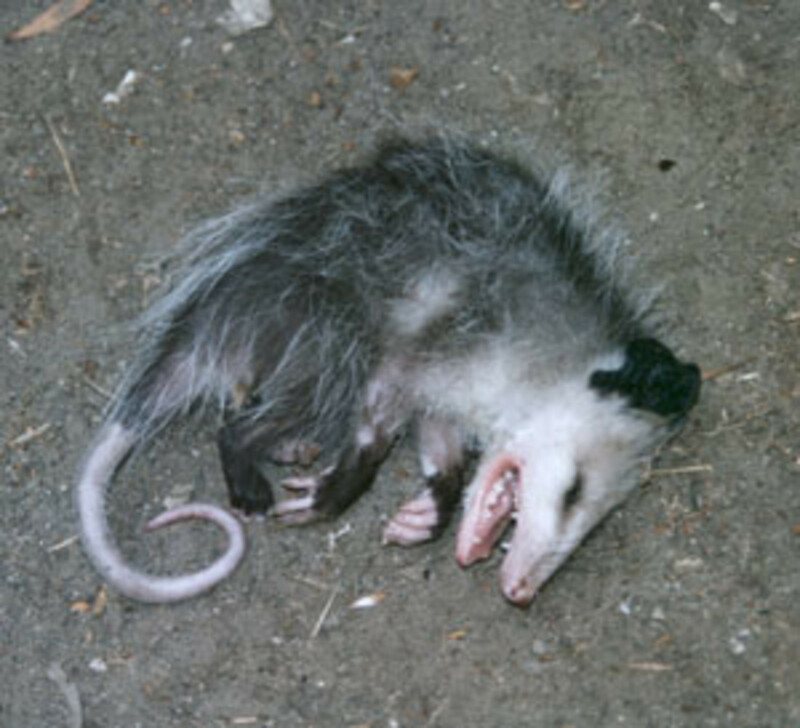 It was a DISASTER! I normally only buy fresh fish and have a hard time cooking frozen fish. Thanks for the ideas. Kroger had it on sale the other day and I have another two bags and a roaster just like yours. Yah!